The Lola Goes Outside Capelet! 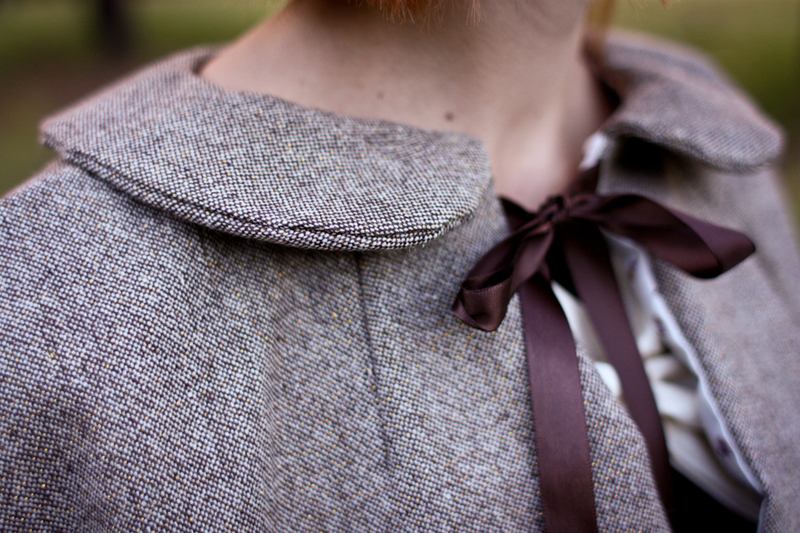 It is a little hard to tell, but this little cape is made out of a tweed with gold thread woven throughout. 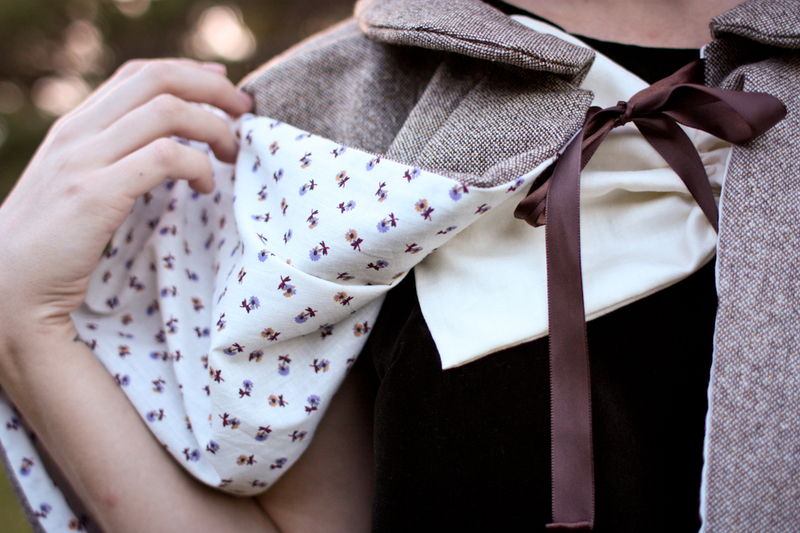 What do you get when you add tweed, sparkles, ribbon, a peter pan collar, AND vintage floral fabric? Perfection in cape form! I decided to throw sensibility out the window and design something completely for the sake of fun and whimsy. 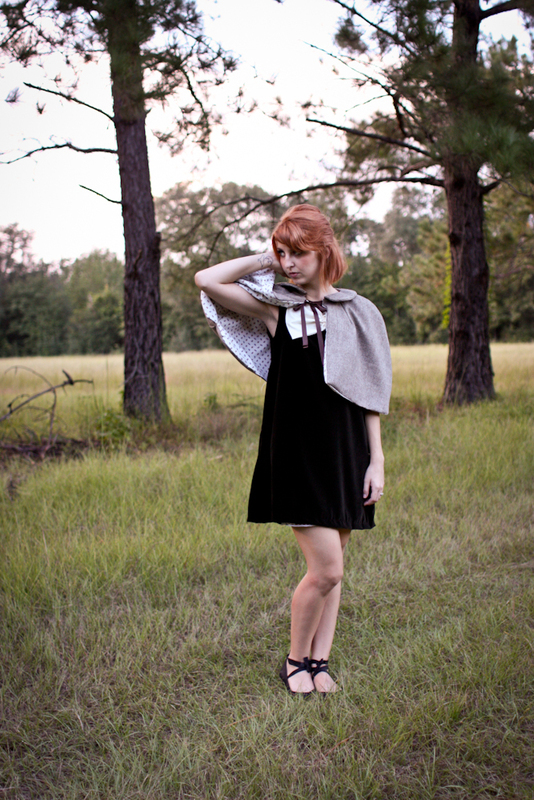 This is cape is made for prancing in the woods... or anywhere and everywhere! Awe, it's adorable! Love it! So cute. Love the golden thread! I like tweed - wonderful material... nice! I love you're entire 'Lola' series. And I am especially inspired by this cape. Thank you!